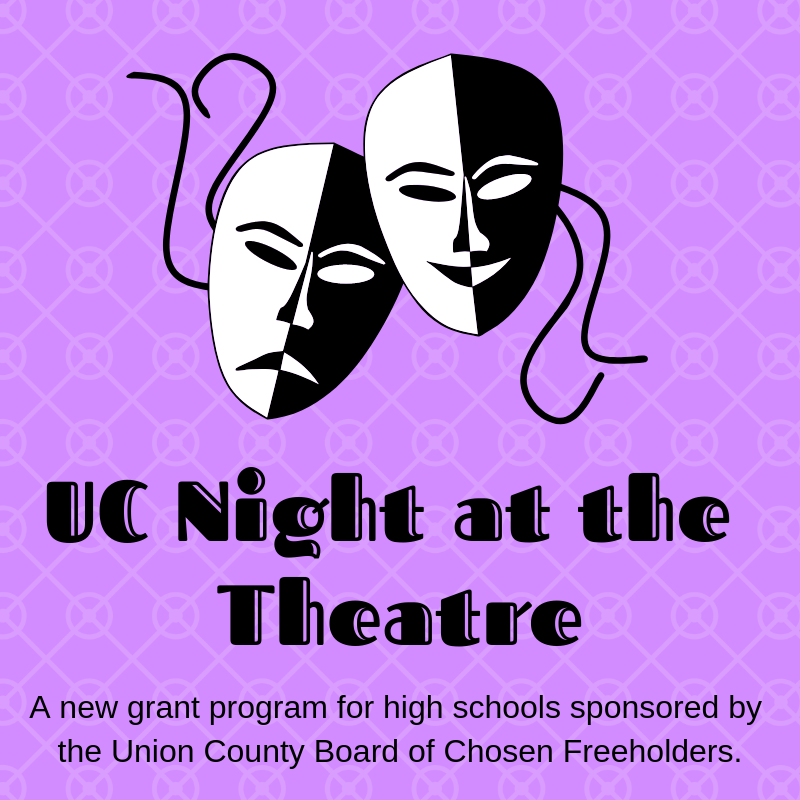 Union County, NJ – The Union County Board of Chosen Freeholders is pleased to announce the launch of the new UC Night at the Theatre grant program for high schools. As part of Freeholder Chairman Sergio Granados’s Moving Union County Forward initiative, the new program aims to help cover the costs of high school theatre productions and provide arts enrichment for the community at large. The UC Night at the Theatre program is funded through Moving Union County forward in conjunction with the Union County Open Space, Historic Preservation and Kids Recreation Trust Fund. A total of $25,000 in grants will be disbursed to help cover the costs of high school theatre productions slated for the spring or fall of 2019. “UC Night at the Theatre is part of the Freeholder Board’s efforts to help youths in Union County explore their interests and share their enthusiasm with family, friends and neighbors. All of us benefit when young people in our community are motivated, confident, and creative,” said Freeholder Alexander Mirabella, who is Chairman of the Trust Fund. Grant applications must be submitted through the school principal. As a condition of the grant, recipients are required to encourage the community at large to attend school theatre productions. Application forms and a letter describing the new program have been sent to high school principals in all 21 Union County municipalities. Awards will be announced shortly after the application deadline of December 17.